You can make a significant gift to the environment by donating securities (in the form of stocks or mutual funds) directly to us. 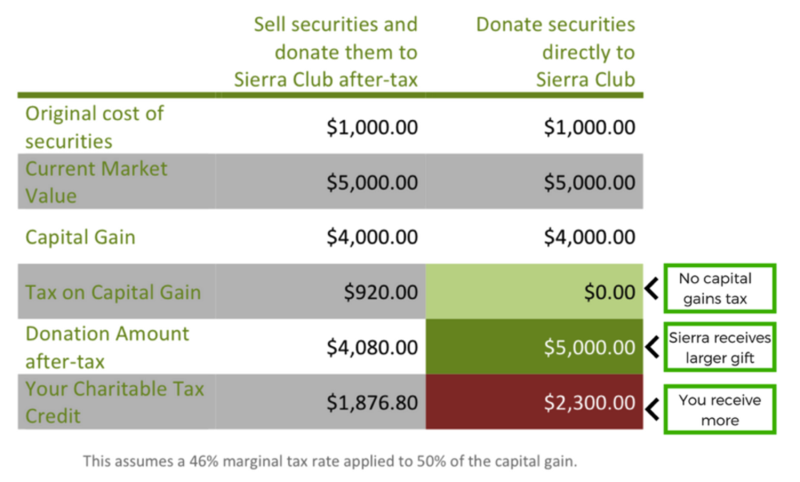 To avoid incurring a capital gains tax, donors can transfer their securities directly to Sierra Club Canada Foundation. We then promptly sell the securities after the transfer. The donor avoids the capital gains tax, and we benefit from an immediate and significant gift. You will receive a tax receipt for the full market value of the shares on the day the securities are transferred to Sierra Club Canada Foundation. 2. If you are, in fact, a TD Bank client, and if you are choosing to manually transfer funds, you can use the attached form. 3. If you are a non-TD Bank client, and wish to transfer fundsmanually, provide the above account information to your banking institution.